On 12th Februaty 2018 a new Cup Noodles version went on sale and I needed to buy it right a way. I am a huge lover of french fries and I like to eat chicken nuggets. But hearing about a ramen cup including those both ingredients sounded so weird. Luckily I just found it right away at the convenient store on my way to work (by now they also have it at my local supermarket). 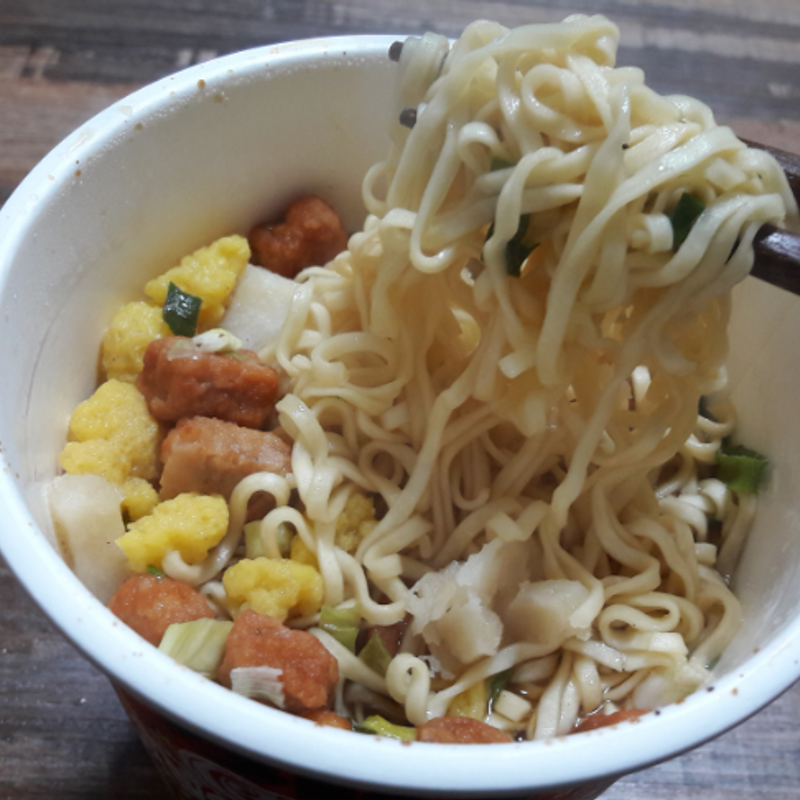 When opening the quite big cup, I already could see a lot pieces of nuggets, just a few of potatoes and I liked the fact that it is combined with eggs. Looks great for my taste so far. After brewing the water and waiting for the usual three minutes and gave it a try. The nuggets were pretty nice surprisingly. The potatoes were soft, more like usual potatoes and not really reminding me of french fries, but ok. I like the combination with the ramen noodles. My only minus point went to the soup. It has a black pepper shoyu taste which is strong. I am not good with pepper, so I ended up trowing the rest of the soup away when I ate all other ingredients. 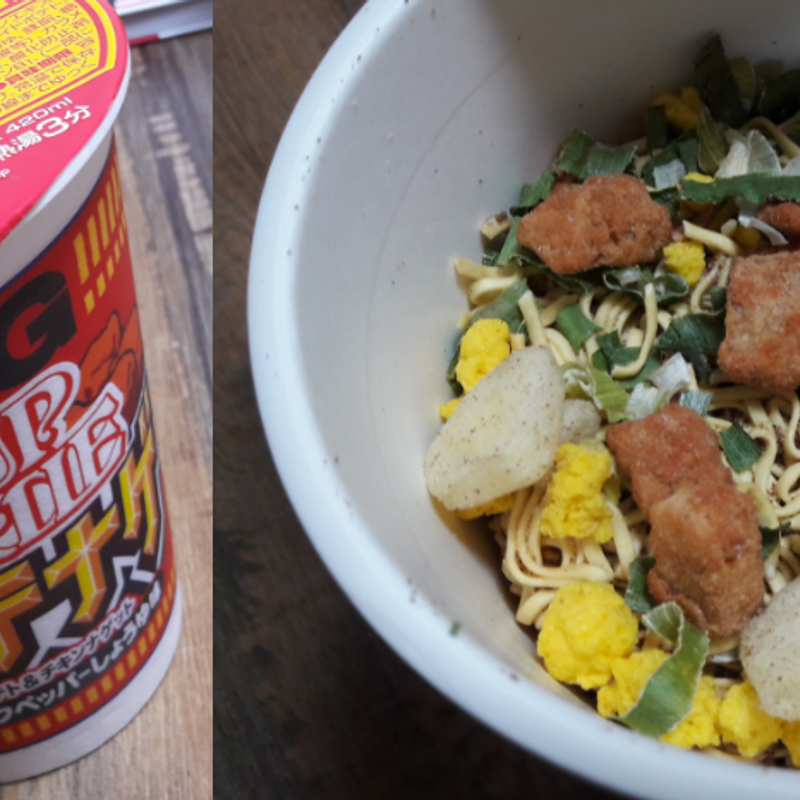 All in all, I like the idea of combining instant ramen with nuggets and potatoes. If they put another soup, I would by it again. 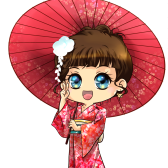 German woman who made several trips to Japan, did one year Working Holiday and started living in Japan again since Oct' 2016 with Japanese husband. Loves music, cats, traveling and food.